Moving homes or offices is stressful. We have to let go off the convenience and comfort of our home and surroundings. To add to the frustration are the tough and demanding chores of packing and moving belongings deftly. The cost of belongings, removal cost and risk of losing and damaging items make it even more straining. But one can handle the removal stress effectively by enlisting the services of a professional removalist in Papakura. 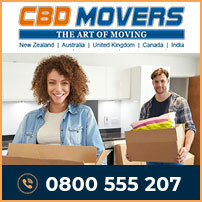 At CBD Movers NZ, we are the finest removalists Auckland. With extensive knowledge of the business, well-trained staff and the best removal gear, we offer the best-in-class removal support. We undertake an extensive line of removal services. From offering services for house removals to supporting extensive office relocations without delays and disruptions, we take up all. We excel in dismantling and reassembling furniture pieces and are therefore reckoned as the best furniture removalists in Auckland. In addition to undertaking services for loading and unloading, we also offer services for end-to-end packing and moving deals. We own the most appropriate removal gear to carry out relocation effectively. We have well-defined processes in place which help us take up removal chores with speed and efficacy. Our trucks too are the finest in the business. From a 3 tonne truck load to 8 tonne capacity, we have all for a customized and affordable removal. Each vehicle is equipped with climate control system which offers the best protection during temperature variations. We are certified and registered and undertake moves that are completely within the regulatory framework of the area. 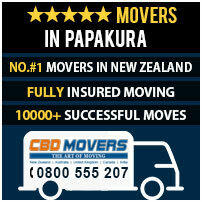 At CBD Movers NZ, we strive to provide the best removal services at the most competitive and affordable rates. Our tailor made solutions, well trained personnel and bulk operations help us offer the most cost effective rates of every service. We do not charge depot fee and have the most reasonable rates for comprehensive transit insurance cover. Our operations are transparent and we have no hidden clauses. Papakura is a suburb of the Auckland region in New Zealand. A prominent residential suburb, it is home to nearly 30,000 people. With all the major facilities and amenities, Papakura is a place to live and work. Papakura competently and hassle-free. Get in touch with us for customized deals and removal plans. Our services are safe, reliable and affordable.